We cover all of your Federal and State labor law posting requirements with this simple solution. You'll have every poster you need in one place - and eliminate the need to track down complex state employee notice requirements. Order your posters and relax, just place them in lunchrooms, near time clocks, employee entrances, etc. to stay in compliance. In 2018, 22 states plus D.C. have raised their minimum wage rates - bringing more than half of U.S. states above the federal minimum. Numerous states have also made additional changes to other mandatory workplace notices concerning minimum wage, unemployment, workers� compensation and family and medical leave. Latest Regulations--everything you need to know right NOW to be in compliance! The Cell Phones Prohibited notice is perfect for areas in the workplace where you do not want annoying interruptions from cell phones. 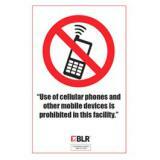 Display it in the office to reinforce your policy regarding cell phone usage by employees. Help prevent harmful food-borne illnesses by discovering the four keys to keeping food safe to eat with these Food Safety Posters. The colorful posters feature food safety tips that address the importance of Chill, Separate, Clean, and Cook in keeping and handling foods in the proper way. 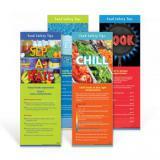 Create awareness to keep food safe and prevent illness with the Foodborne Illness Posters. 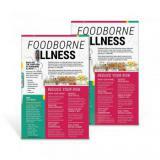 The set of two posters (same design) identifies what is foodborne illness, who is at risk of contracting an illness, common symptoms, and ways to reduce your risk of contracting an illness by keeping food safe to eat. 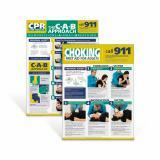 Well-designed posters are an effective tool to reinforce core values in your workplace. That�s why we created a selection of anti-harassment and pro-diversity posters, ideal for lobbies or lunchrooms, and other public gathering spaces. 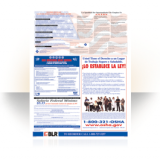 Spanish Labor Law Posters for Your State! Make complying with labor law posting requirements hassle-free. Free shipping! The California Minimum Wage poster has been updated to reflect an increase in the state minimum wage. The California Department of Industrial Relations has increased the minimum wage from $10.00 per hour to $10.50 per hour for employers with 26 or more employees, effective January 1, 2017. Employers with 25 or fewer employees will remain at $10.00 per hour. Don't leave your poster compliance obligations to chance. ALL covered businesses in the United States are required by law to display the most current federal and state labor law posters in all facilities where employees and applicants gather, such as in lunchrooms, Human Resources, or near time clocks. 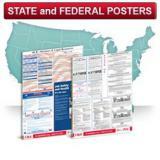 The Washington All-Inclusive State and Federal Poster includes all the most recent Federal required postings. The Wyoming All-Inclusive State and Federal Poster includes all the most recent Federal required postings. 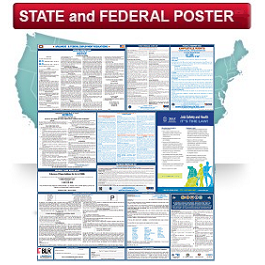 The West Virginia All-Inclusive State and Federal Poster includes all the most recent Federal required postings. 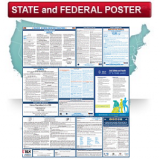 The Vermont All-Inclusive State and Federal Poster includes all the most recent Federal required postings. 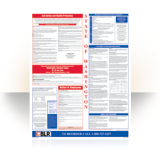 Meet all your Federal and State labor law posting requirements with this one simple solution. You'll have every poster you need in one place - and eliminate the need to track down complex state employee notice requirements. Order your posters and relax, just place them in lunchrooms, near time clocks, employee entrances, etc. to stay in compliance.e they are accurate and up-to-date. Heat Illness can be deadly. 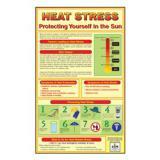 Inform workers about the effects of heat illness, how to prevent it, and what to do in an emergency.